The AR-15 is the most popular type of rifle in the U.S. Since the creation of the first AR-15 in the 1960s, millions of these guns have been sold. An estimated 4 million are currently in circulation! We’ve examined dozens of scopes built specifically for the AR platform. After careful research, we’ve chosen three that we really love. In our comprehensive reviews, we’ve broken down the important features and specs of each option, and included practical advice on what type of shooting each is suited to. 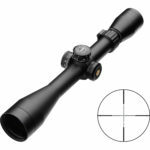 The key differences to be aware of are magnification power, type of adjustment equipment, and range of distance. We’ve discussed each of these in our reviews, to simplify your shopping process! Our full reviews by model are below. At the bottom of the page, you’ll also find a quick overview of How to Shop for an AR Scope. Why’s it so tricky to find a good AR-15 Scope? These guns are such a popular platform in large part because of their versatility. 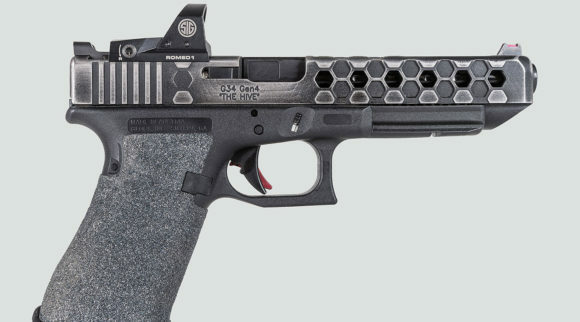 They’re modular, so you can switch out stocks, barrels, and other parts to create your own customized hunting weapon that looks, feels, and shoots exactly how you want. If you’re an AR owner, you probably care a lot about each individual part on your rifle. And the scope is no exception. You’ll want the perfect one to accompany your custom gun. We’re totally with you! But because AR-15s are so varied, it’s hard to narrow down which ones are really the best for a particular weapon. 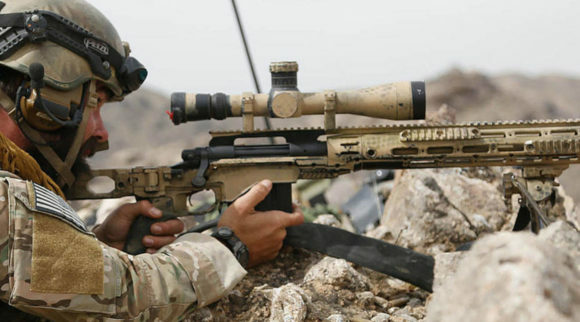 While AR rifles are almost infinitely versatile, scopes are inherently more limited. You really want to find the one that best suits your shooting style, as well as the specific components and munitions you use. 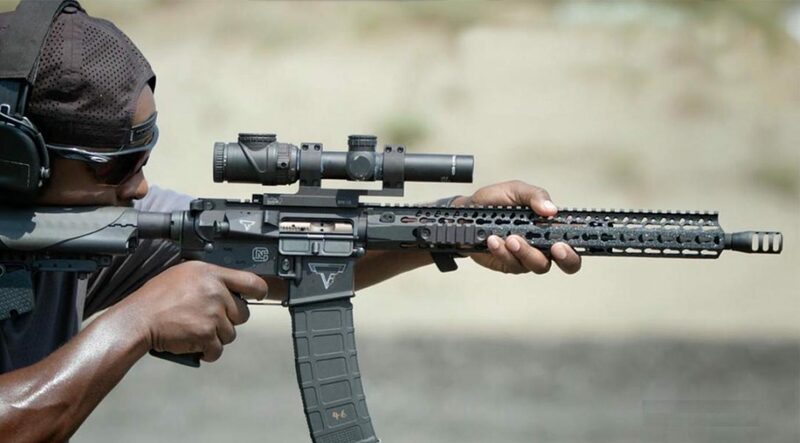 Since each AR-15 is slightly different, most scopes that are built for the platform can under-perform unless you get the perfect fit. That’s why we’ve assembled a whole range of options, so you can easily find one that suits the specific characteristics of your personalized weapon! Check out our favorites below! This is a very good general purpose scope, at a very low price. It’s powerful enough for long distance shooting up to 300+ yards, but has improved light transmission for close range shooting. It’s also well-built for a model in the not so pricey range, with fully multi-coated lenses and a sealed, water- and fog-proof canister. Like so many Nikon eyepieces, it offers impressive glass and a boatload of features for a very reasonable price. 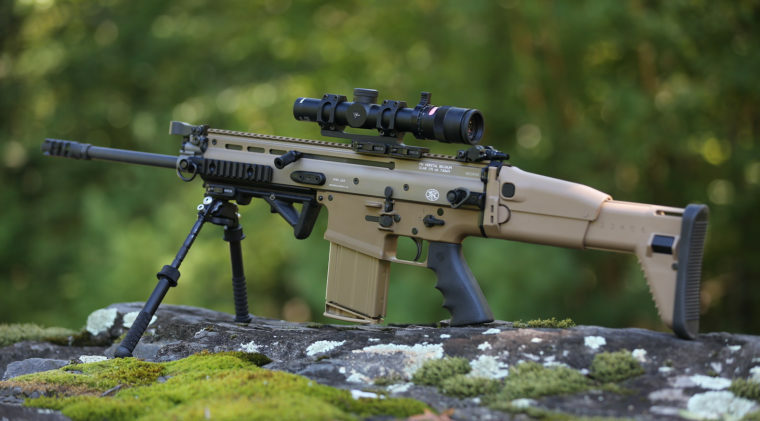 With 3-9X power, it’s flexible enough for close range to moderate distance shooting. The 40” objective provides a nice, wide field of vision with lots of light. While the objective is wide enough to work well up close, the Nikon also has the flexibility to allow you to shoot accurately at up to 600 yards. That’s enough for most hunters, and takes you up to the edge of the “long range” scope bracket. Both lenses are fully multi-coated to reduce glare, improve light transmission, and protect against scratches from brush and branches. It’s all housed in a convenient package, which saves weight and space. A generous 3.6” eye relief provides plenty of space for recoil. The aluminum tube weighs in at just over a pound. That’s about average for an AR scope. The reticle is designed for distance, and has markings for Bullet Drop along the crosshairs. 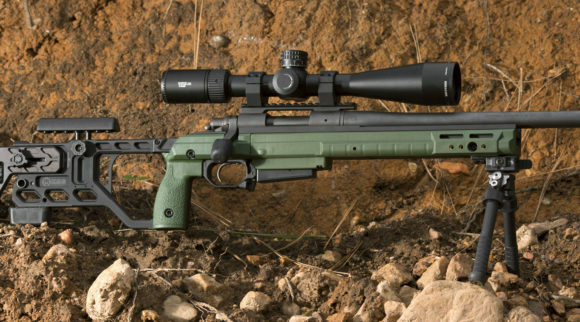 This allows you to shoot accurately at 400 yards, when your reticle is zeroed in for 100. This feature is designed to work with Nikon’s Spot On shooting app, which calculates adjustments for you. The adjustment turrets click cleanly and specifically. They work at a .25MOA adjustment rate, and include a 100-yard parallax compensation feature. It’s designed specifically for AR-15s. Bullet drop calibrations are for .223 Remington rounds out to 600 yards. It’s very easy to get up and running with the Nikon. In our experience, you can get it zeroed in less than 5 shots! 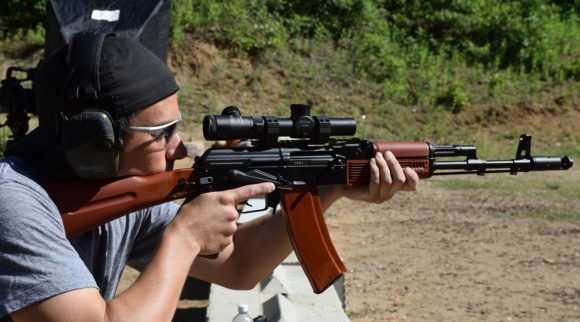 That’s a big plus for us, since many scopes can be a hassle to set up for people who aren’t experts, and waste quite a few rounds in the process. The easy set-up also makes it a good choice for new shooters, who aren’t as seasoned at focusing a new one. It’s very inexpensive. We’re impressed by how well-built it is for the price, and so were previous buyers. Personally, we think that the quality and performance of this model rivals many over $400! Nikon provides a lifetime warranty, which is an unexpected perk for such an inexpensive scope. We also found that previous buyers spoke very highly of Nikon’s customer service! We’ve never had a bad experience dealing with them, either. We have no substantial complaints about the Nikon, as far as it goes. You can certainly find more sophisticated and powerful options, but this one doesn’t have any noticeable flaws. Looking around at reviews from previous buyers, we also found very few complaints about this one. A few isolated reviewers had problems with them right out of the box, which seems to be a factory error. However, this only affected a small percentage of buyers, and Nikon does provide lifetime coverage, so you should have no trouble returning a defective product. Some reviewers did find that the bullet drop bubbles on the reticle were too small to read easily and hard to pick up in dim lighting. If you have so-so vision, that could pose an issue for you. It’s not something that strikes us as much of a concern, though. 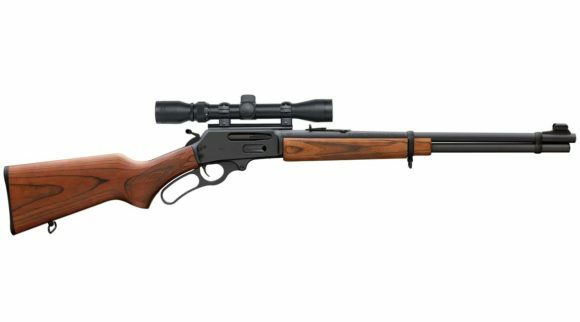 The NRA’s Shooting Illustrated recognized this scope with the Golden Bullseye Award! They said it was pretty much the best on the market for the price! This model has a light build, smart design, and quality construction that make it one of the best shooters, and best deals out there for us! It has tactical reticles, ballistically-calibrated drop circles, and new illumination features. We love its wide magnification range and proprietary fog proofing system. If you’re serious about shooting with your AR-15, this is the scope for you! The Leopold uses a mil-dot reticle, which is a more specific and technical sight than the BD reticles used in the Nikon and the Bushnell. It’s what the military uses for tactical shots over long distances. The reticle markings are also coordinated to standard AR munitions (.223). This model is kitted out with a “firedot” reticle, which means that it’s illuminated! The Mark AR’s target dot is green, so it’s visible at all times of day. You can adjust the brightness, too, and the illumination feature automatically shuts off after a period of inactivity so that you don’t run out of battery. And this extended sight capability is backed up by a lot of magnification power. 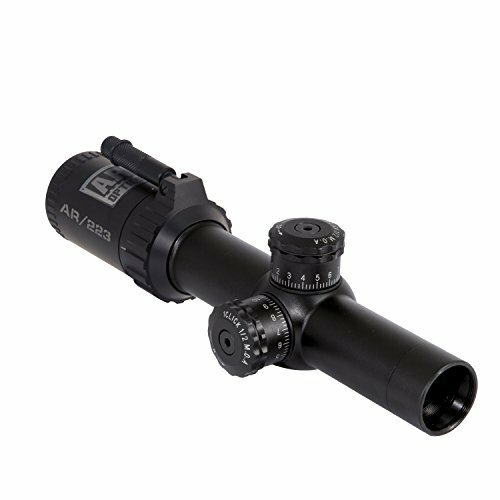 This scope has a 3-9X range of zoom power, and a wide 40mm objective. That means you can shoot out to while still retaining a wide field of vision. The powerful lenses are easy to adjust, thanks to the quick-focus eyepiece. These quick-focus options aren’t essential functions, but they certainly make things simpler in the field! Both lenses are fully multi-coated, with a new formula from Leopold, which is supposed to increase light transmission and eliminate reflections from the sky. Inside the canister, Leopold has equipped the scope with an Argon/Krypton blend. This goes above and beyond traditional nitrogen sealant. It eliminates the risk of thermal shock, and reduces gas diffusion inside the canister. The extended eye relief (adjustable from 3.6-4.3” depending on the zoom setting) provides plenty of space for kickback without any danger of making contact with your face. That’s a no-brainer for us! The adjustment turrets are .1 mil-dot. We found that they’re positive and audible and appear to track consistently. We especially like Leopold’s P5 BDC dial. This lets you work around bullet droppage while still using a mil-dot reticle. It includes both yard and mil-dot markings, and can be used for precise distance shots up to 650 yards! There’s also a side dial for windage on the same unit. Another great aspect about this scope is the weight. At just 12 oz, it’s much lighter than both the Nikon and the Bushnell, while being more powerful than either! That’s smart design that’ll make a big difference in the field. Your arms will thank you! All Leupold scopes, including the Mark AR, are built in the USA and insured for life. 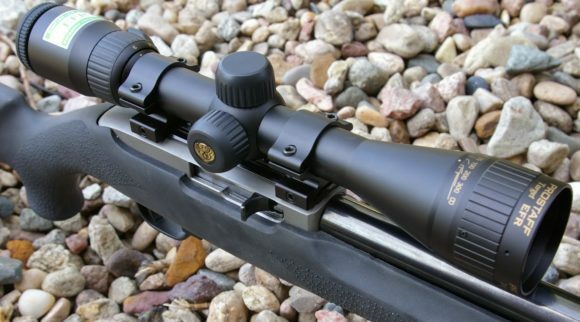 Leupold even cover scopes after they’ve been passed to someone else! They’re a brand with a very high level of loyalty, and it’s easy to see why. Online reviewers who had questions about their new scopes said Leopold representatives were helpful and eager to share their expertise. It’s still relatively inexpensive. The few previous buyers we found who experienced issues sent their scopes back to Leupold, and received repairs or replacements promptly. Leupold quality control is generally very good, and their customer service is fantastic. So while we can’t guarantee you won’t get a rare lemon, you should know that it’s very easy to get a new one without trouble. On this particular model, the reticle markings for .5 mil and 1 mil are the same size, so some people might find that confusing. On Leupold’s other scopes, the .5 mil markings are a bit smaller. That’s just a matter of getting used to this one, though. It’s by no means a dealbreaker. This Bushnell is our favorite choice for a hunter’s AR scope. 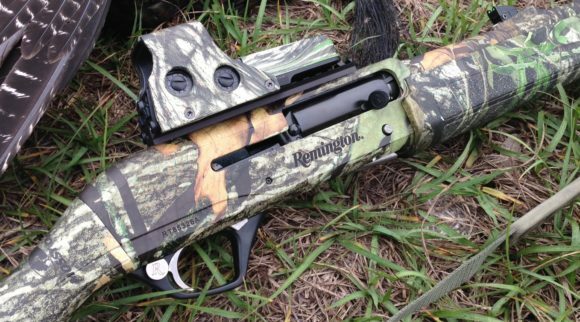 It’s the best of our choices for close range hunting in the woods. It’s compact enough to keep clear in the trees, and packs a lot of low-end punch with a 1-4X power range. Plus, it includes a few added luxuries like illumination and quick focus, without carrying a big price tag. Both lenses are fully multi-coated for optimal light transmission with minimal reflection. The 1-4X power range gives you better flexibility at closer distances, and helps preserve both light levels and your field of vision in the woods and scrub. The illuminated front lens panel boosts visibility in low-light conditions. It also helps you holdover without parallax to 500 yards. The reticle lights up, and includes bullet drop markings for distance shooting up to 600 meters. We love that it works in all light conditions, since the illumination level is adjustable. With 11 settings, you can turn it up for bright daylight, or turn it down for just a bit of boost at the end of the day. It also works just as well with no illumination. You can turn the light off to save battery or for stealth. The reticle appears crisp and black against your field of vision. The scope’s tube is constructed from high-grade aluminum alloy. It’s very strong, but keeps the weight lower than other metals. The outer coating is both rustproof and scratch resistant. The shaft is has been air-purged, filled with nitrogen, and completely sealed with O-rings. That’ll keep it free from any moisture or fogging. The tube also conforms to a 30mm build form, rather than the usual 1” on American scopes. This results in a stronger frame, and a bit wider field of vision. It’s not a world of difference, but certainly notable to the experienced eye. There are a few added features for convenience, like a throw-down lever for power control and the fast focus eyepiece. We think these convenient adjustment features are well worth spending some extra cash for. They’re super easy to use, and make zooming much more smooth and precise. The turrets are high-profile. They also don’t lock down. That’s expected with something that’s trying to fit more into the technical bracket, but also a factor to be aware of as you shop. If you’re concerned about bumping into branches or brush while you’re making a shot, you should get something more streamlined. The design of the scope makes it awkward to use with low or extra low scope rings. You’ll probably need medium to high rings for attaching this scope, since the adjustment assembly protrudes from the bottom slightly. At 1X zoom, the illuminated sight is a small red dot rather than a BDC circle. Some previous buyers we heard from had trouble seeing it at that size. We don’t think it’s all that much smaller than your average illumination feature, though. We’d recommend the Nikon for hunters on a budget, or relative newcomers to shooting. It has a decent range of magnification, and with a lifetime warranty, you’ll never have to worry about it breaking. Even though it’s low-priced, it has all the basic qualifications for a great scope: fully multi-coated lenses, nitrogen moisture proofing, and precise instruments. It’s not quite as clear or technically precise as the Leupold, but covers all your general shooting needs well. The Bushnell is our favorite option for people who hunt primarily in the woods. It’s got a bit lower power range than the other two, which allows for a wider field of vision and great low-light visibility. Plus, it can handle bumps and jostles better than the Nikon. This one is specifically designed for hunting in the woods, for what most hunters do on a regular basis. It has a special illuminated front lens for boosting visibility in low light conditions, and a lower power objective lens to provide a clearer, wider field of vision. It’s sealed and fully multi-coated, and is fairly reasonable in price. A good choice for regular, serious hunters without breaking the bank. For more serious shooters, and for long-distance shots, we’d recommend the Leupold. This one has the widest range of the three. It’s suitable for woods hunting up to prairie shooting. It’s also the highest quality in terms of construction and materials, with superior lens coating and argon/krypton waterproofing. The brand makes everything in the U.S., and has really impressive customer service (and a lifetime warranty). The sights are also more precise than the Bushnell or Nikon, since they’re military-issue mil-dot style. This is a higher quality all-purpose scope than the Nikon. Plus, it feels much more deluxe with its illumination feature. We don’t think there’s a better AR-class scope on the market right now! Scopes for AR-15s range from $100-$2,000+, so there’s an incredibly wide variety of options. Price matters to the extent that more expensive scopes are built better and are more precisely engineered. They’ll have more variable magnification and more technical instruments, as well as proprietary features. The key thing is to match the price class of the scope to the price class of the gun. That way, neither compromises the other. The important thing is for the scope to complement your AR. You don’t want a scope that’s underpowered or overpowered, so make sure your scope suits all the modifications you’ve made. You’ll want to think about mounting rings, and clearance along the barrel, as well as any tripods or mounts you’ll be using when you shoot. 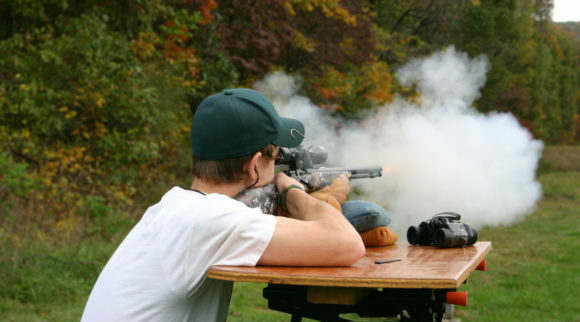 AR-15s can be used for just about any type of shooting, from deer hunting to target competitions. Each type of hunting requires a different type of scope, so you’ll want to keep that in mind as you shop. If you do primarily one kind of shooting (i.e. 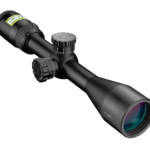 deer hunting in your woods), you can probably go for a more specialized scope. 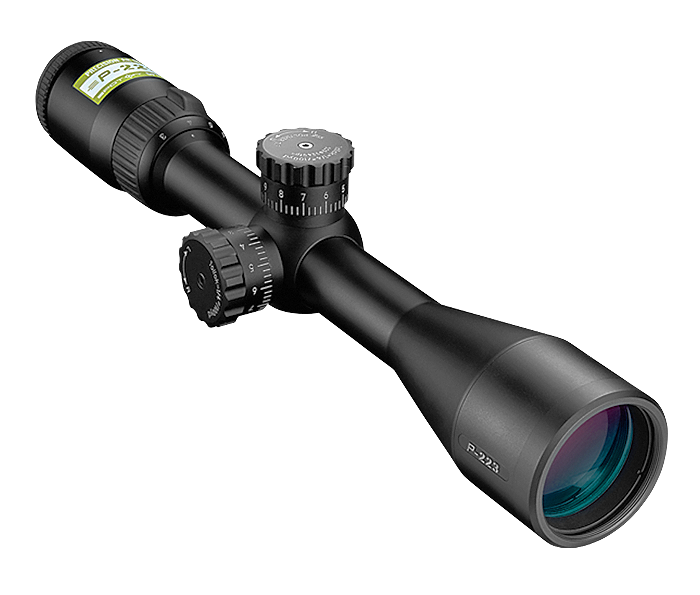 If it’s hunting in the woods and brush, you’ll want a scope that starts at the lower range 2-4X and up. If it’s primarily long range, you can go higher. 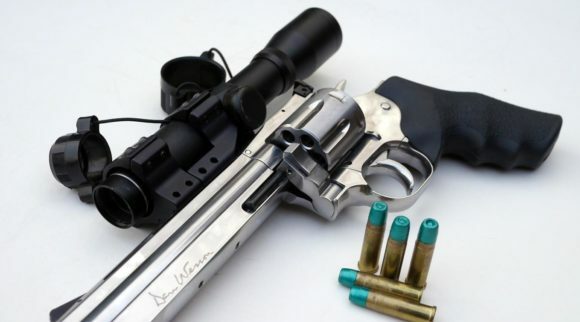 For most general purposes, it’s best to have a scope in the 3-4x bottom range. 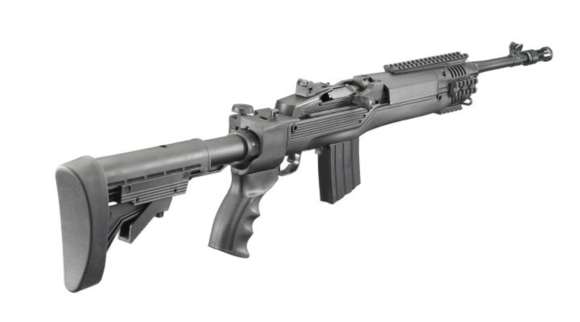 However, since ARs are so versatile, we think it makes sense to complement that versatility with an all-purpose scope. Look for eyepieces with a wide range of magnification (3-9, etc.) and plenty of room for adjustment. We hope you’ve seen a scope that suits you and your AR rifle. You can see more about each model by clicking through on the link at the top of each review. If you’re looking for something slightly different, at the very least you’ll have a better understanding of what you need in your new AR scope! 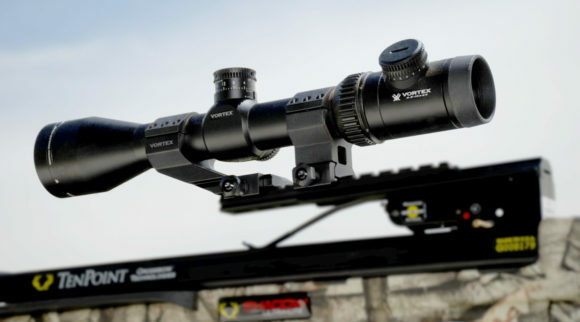 Interested in our other recommendations for the best scopes, read our Best Rifle Scopes Review!